It’s been awhile since I posted one of my photographs. This one was taken in January 2012 while on vacation in Kauai. 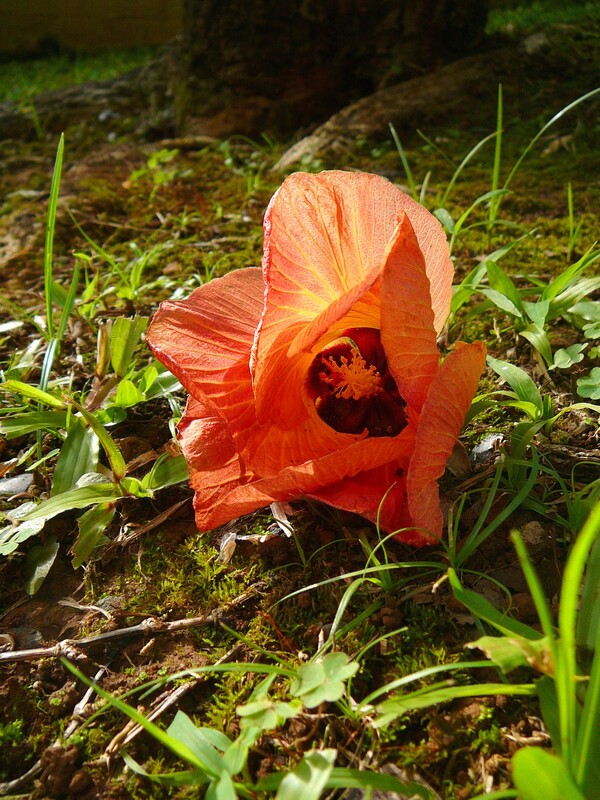 We had taken a lovely walk through the rainforest to reach the ocean shore and on the way back I noticed a few orange hibiscus flowers that had fallen to the ground. The sheer beauty of this one flower alone is amazing. As an artist I wonder, where do I go from here? How do I respond to such elegance and grace? In reviewing the Canons of Chinese Brush Painting for an upcoming class, it is the idea of the development of the artist going hand in hand with the development of the painting that has caught my attention. If the virtues of integrity, perseverance, humility, courage, nobility, modesty, or honour, to name a few, do not live in the artist then how can she recognize them in nature to bring them out in her painting?